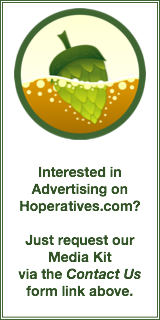 Because we are an informational web site that focuses on better beer events and news in Cincinnati, we’re only concentrating on specifically beer related Saint Patrick’s Day events. In other words, we’re not listing food or music information. And, no, we’re not listing anything involving green beer. Guinness on tap all day. Doors open at 6:00 am. Free t-shirts to the first 600. Breakfast Green Eggs and Ham plus Guinness Pancakes. Lots of Braxton beers on tap. “Doors open at 9 am with Shamrock, Shamrock BA, Shamrock BA Coffee all on draft as well as some vintage Shamrocks and BA Shamrocks. At 5:00 pm, they will be tapping Great Lakes Brewing Company’s Conway’s Irish Ale. Kegs and Eggs at 7:00 am. Outdoor festival begins at 10:30 am and goes all day. Outdoor concert/festival begins at 11:00 am and goes all day. Kegs and Eggs at 8:00 am. They will be giving out free St. Patrick’s Day Streetside shirts to the first 25 people through the door. Shirts will also be available to purchase in the taproom. They will be tapping their Dry Irish Stout and a small batch of an Irish Red.